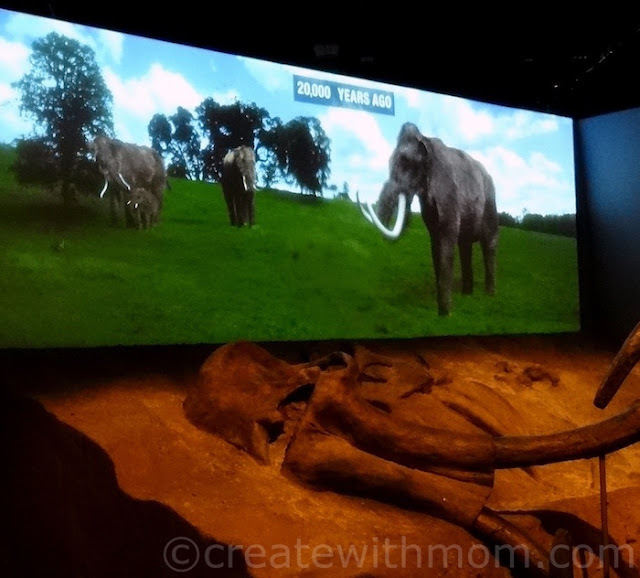 Discover the science behind Mammoths and Mastodons: Titans of the Ice Age exhibit at the Ontario Science Centre running until April 24th, 2016. At the exhibition we can learn how researchers use cutting edge science to excavate and analyze tusks, teeth, skin, hair, and stomach contents to learn about these creatures that once lived side-by-side with humans for thousands of years both in colder northern territories, as well as different ecosystems throughout the world including Ontario. The exhibition uncovers the connecting factors that contributed to their evolution and extinction, such as climate change, human predation, and other factors. There is a replica of Lyuba, 42000 year old baby mammoth that was found in 2007 by a Siberian reindeer herder and his two sons. 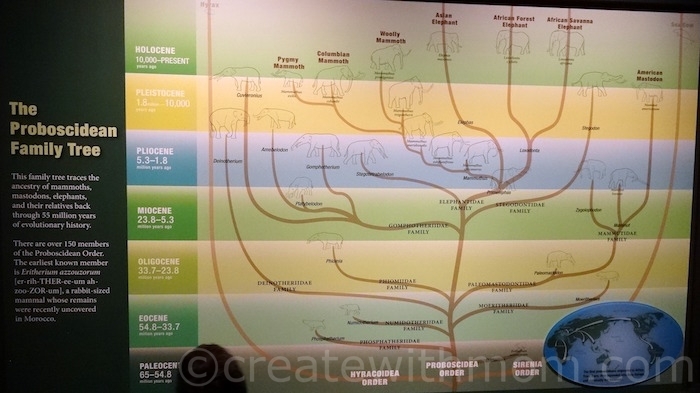 Lyuba's DNA helps scientists study mammoth history in Siberia. 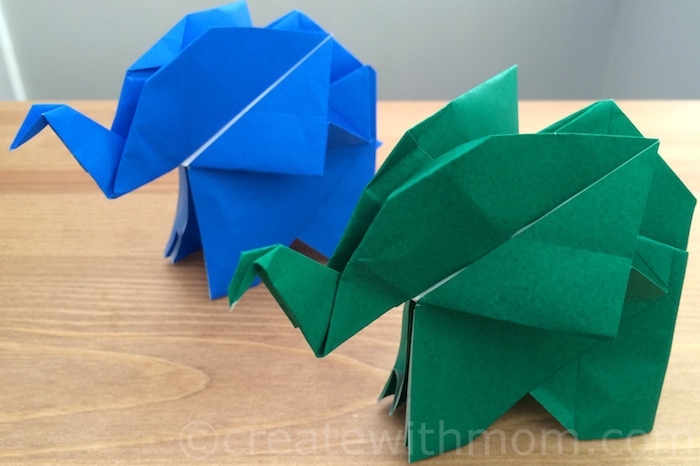 The DNA evidence shows that mammoths' closest living relatives are Asian elephants. The above picture is of an ancient cousin of mammoths, mastodons, and elephants that might have grazed in North African wetland about 35 million years ago. They are larger than modern-day tapir, with short legs, long body, and short tail. There is proboscidean family tree with touchable scale models of woolly mammoth, Columbian mammoth, and American mastodon at the exhibit. 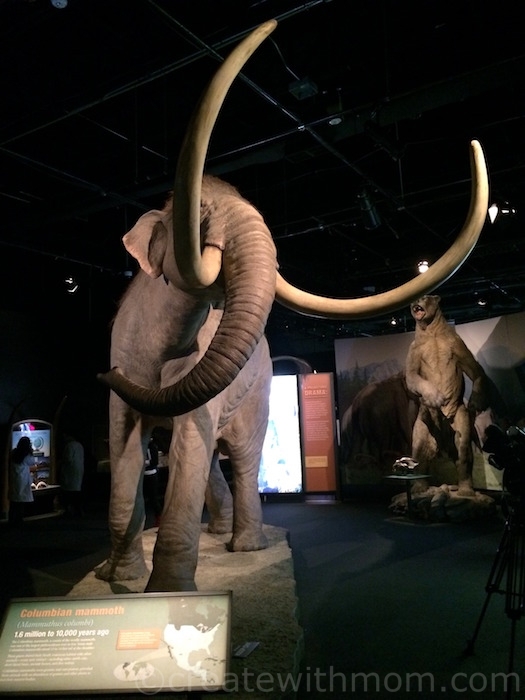 There is four-metre-tall replica of a Columbian mammoth, the largest mammal to roam North America. A large mammoth could weigh 10 tonnes, which is about seven mid-size cars. An adult mammoth walked at a speed of six or seven km/hr. 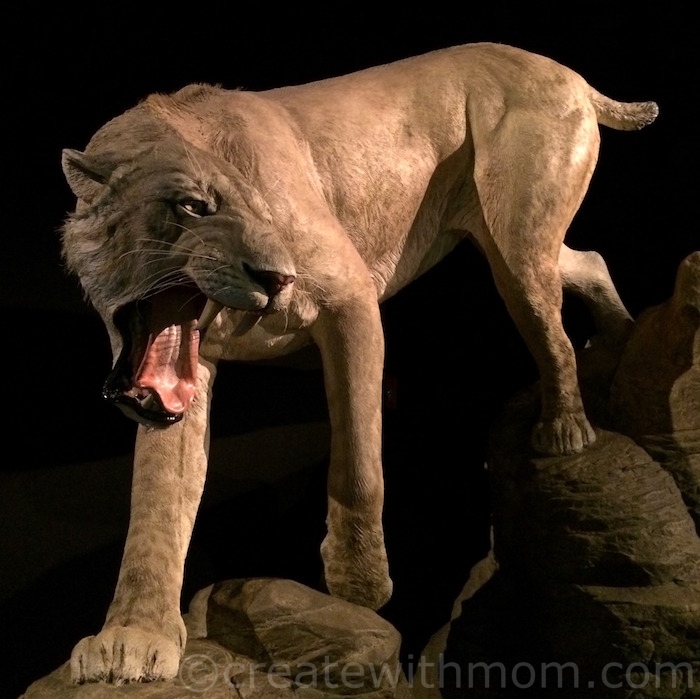 There is a full scale replica of an extinct saber-tooth cat and a short-faced bear. 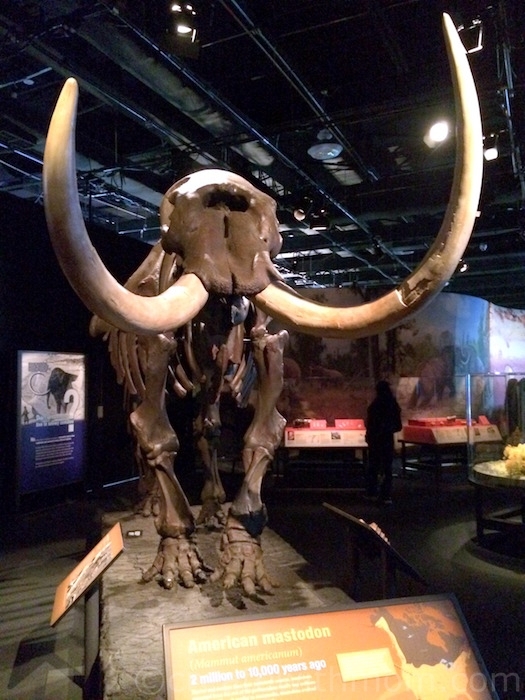 Mastodons are shorter and stockier than mammoths with thicker bones and differently shaped tusks. Mammoth molars with low ridges show that they grazed on grass, and the bulbous cusps of mastodon molars show they used to eat bark, twigs, and leaves. Since they did not compete with each other for food and shared the same environment, they lived side-by-side in North America. Spear points found on the excavated sites suggests that ancient people hunted these animals as a source of food, and used mammoths' ivory to build houses. 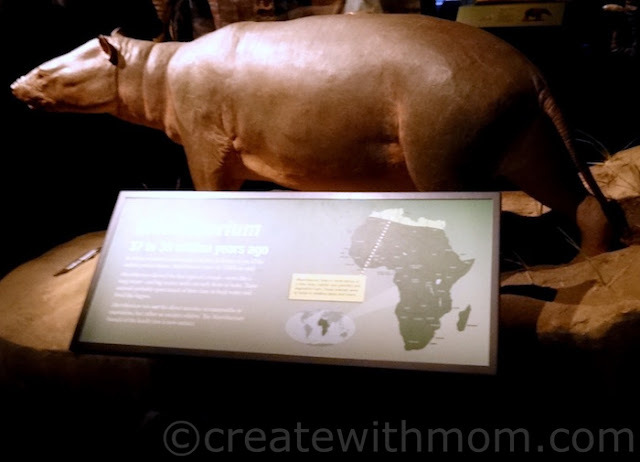 The entrance to this exhibition created by The Field Museum in Chicago is included with general admission. While at the Ontario Science Centre check out the related programs to this exhibition such as making your own mammoth cave art drawing, learn about flint and obsidian tools, carve a replica of a spearhead out of soap. live to far away to visit but would love to take the kids to see it! I am sorry that I missed this exhibit!